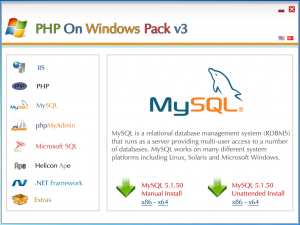 Yusuf Ozturk » Wimp Server v3 is coming.. What’s new? Wimp Server v3 is coming.. What’s new? 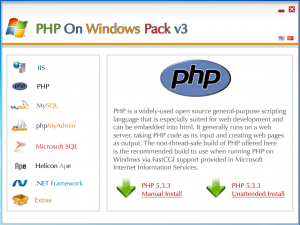 Recently I announced new Wimp Server version for our PHP on Windows project. New version is officially supported by Microsoft Turkey. As you see, you have different installation options. One of them is Manually Install, other one is Unattended Install. 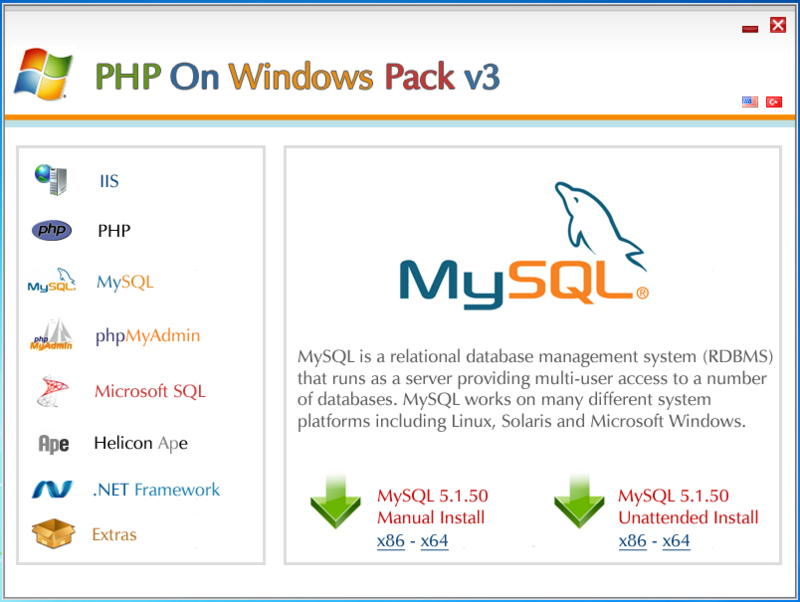 If you want to install MySQL manually, you can choose. Also you can choose x86 or x64 versions of products.